I have been having a lot of trouble with my family helping out around the home, especially my husband. He claims he doesn’t know what needs to be done and that led me to an idea. I created a chart that lists every duty that needs to be done on a weekly basis. It is a very specific list and I created it on a spreadsheet so it has dates and boxes to check. In addition to this, I created a monthly list of things that only need to be done periodically. 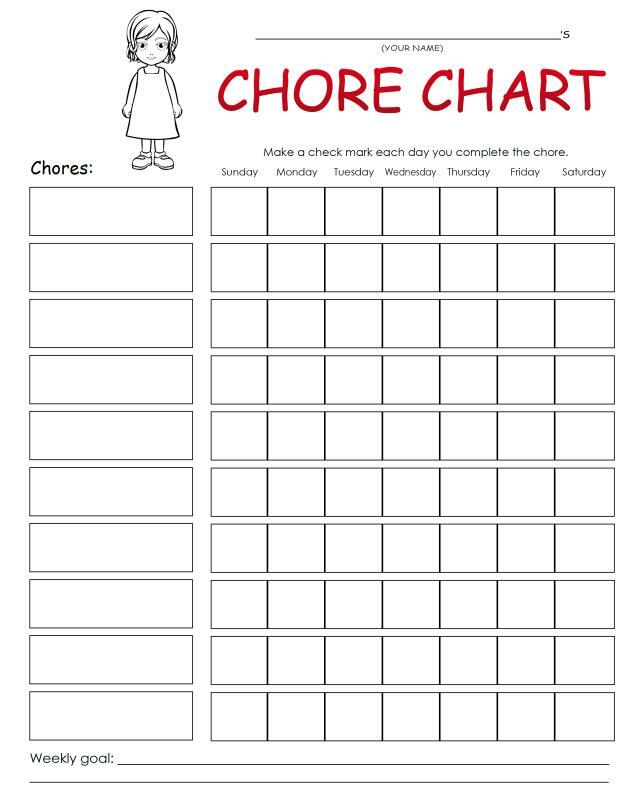 I placed these charts on the bulletin board in the kitchen and asked each family member to help out by choosing various tasks to do. After completing a task, they can write their initials so that I know who did it. So far – so good. It seems that they are helping more because I am noticing that things are being marked on the list. It is a shame that I have to do this, but if it works, why not? If you are having trouble with your family, you can try something like this. By writing down specific tasks and letting them choose which ones to do, I feel like this is easy for them to understand and they don’t have to ask me what needs to be done. If it hasn’t been done yet this week, they can choose that particular task. I hope to keep up with this system for a long time and I hope that it continues to work well.